Are you planning to rent a self-storage unit? Well, owing to plenty of options readily available, it is extremely essential to arrive at a decision with utmost caution only after taking aspects such as price, space, security, accessibility, cleanliness, climate control feature, and affordability into account. Not doing so can pave way for unnecessary regrets and force all of the time and effort you spent to go into vain. While you must have an idea regarding the types of items you can keep in a self-storage facility, starting from important documents to old photographs, pieces of furniture, and vehicles, being aware of the things that must not be dumped there also stands to be mandatory. To know more regarding this, consider buying some time and taking a close look at the below-mentioned pointers. Pressure vessels like gas cylinders and aerosols can explode with an increase in temperature leading to fire and damaging the entire area in which they are placed. A large number of self-storage facilities do not accept any sort of ammunition or firearm such as pistols, revolvers, shotguns, and rifles because the weapons might have been bought illegally and the person trying to store might not have proper license. It is better not to keep explosives like fireworks, gasoline, kerosene, etc. in a storage unit because they hamper the safety quotient to a great extent. These items can start fire and injure people. Even though the storage facilities do accept cars, they do not agree to keep more than four tires because the users often disappear without carrying these back. Owners then need to dispose the tire on their own. According the reputed owners of public storage at Berkeley, individuals must never think of keeping living beings such as their pets or plants in a self-storage unit because they would die or wither away with time. 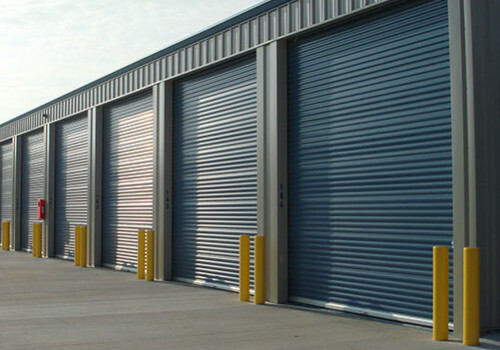 Self-storage units are utterly safe because most of them are equipped with burglar alarms, CCTVs, etc. While the said hi-tech products can reduce theft largely, they could not be stopped altogether so storing jewelry or other precious belongings would be tad bit risky. It does not matter if the smell is bad or good; make sure not to store odorous compounds in a self-storage unit. The chemicals generated from perfumes or colognes can adversely affect the other items kept here. Pharmaceutical products and other kinds of medical supplies must not be kept inside a self-storage unit especially the ones containing radioactive compounds. Devices like heart rate monitors or X-ray machines could only be kept if one agrees to constantly keep an eye on them. While it is absolutely fine to keep canned food stuffs, make sure to avoid storing perishable items like meats, milk, vegetables, fruits, etc. These degrade quite quickly and start attracting pests as well as generating unpleasant odors. It would do you good to not keep any kind of illegal items such as weapons or drugs in a self-storage unit because these facilities are under the supervision of police so if caught, you would not be able to escape the criminal charges. After renting a self-storage unit, remember to avoid keeping the ten items specified above otherwise hassles cannot be prevented.